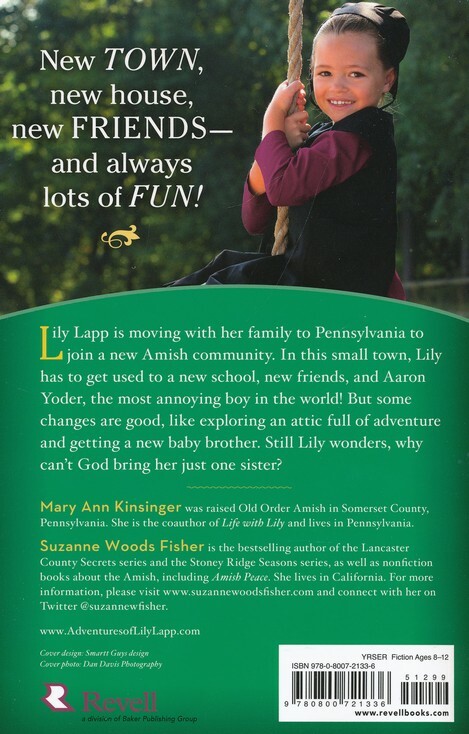 “A New Home for Lily” is the second book in an Amish Juvenille fiction series “The Adventures of Lily Lapp” by authors Mary Ann Kinsinger and Suzanne Woods Fisher. Although I did read book one of this series, my children and I would have enjoyed this book even without having read the first one. A lovely trait of both books is that each individual chapter is a small story of its own – making it perfect for bedtime story reading! 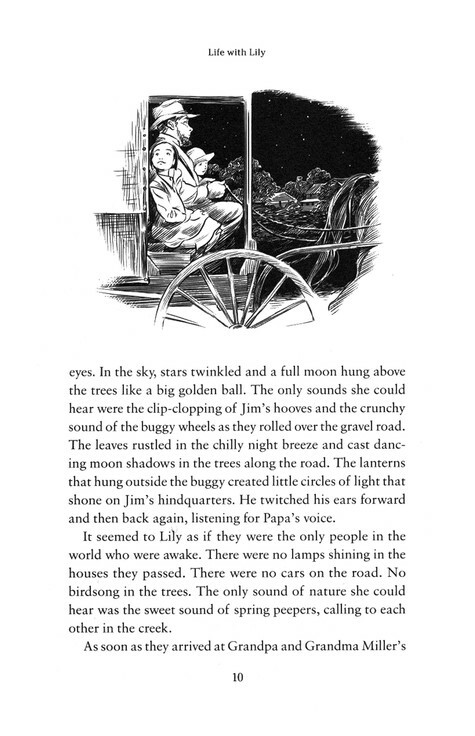 The stories also connect into one over-arching story line, but the fact each chapter is a story of its own is perfect for younger readers with shorter attention spans. I have read quite a bit of Amish fiction, but this series is the first I have ever read that is written from the viewpoint of a very young child. My girls don’t get that this is modern day and call it ‘stories about the girl who lived in a long time ago.’ And really, that is what is unique about reading Amish fiction. It doesn’t feel like our everyday lives, and yet we can still relate to the frustrations and joys these loveable younger characters face within the chapters of this series. In book two Lily is dealing with learning to love the things that are different about her family’s new home in a new town. A new school, new friends … and all the feelings of being uprooted and transplanted into a new situation. What small child can’t relate to starting in a new classroom or a new school – even if they don’t have to move to a new home? * This book was provided by Revell for review with no promise of a positive review. Like the first book’s cover, this one also fits the series very well. I think the cover of book one was slightly more eye-catching because of the brighter sun and the vibrant red barn in the background, but this cover is still successfully crafted. 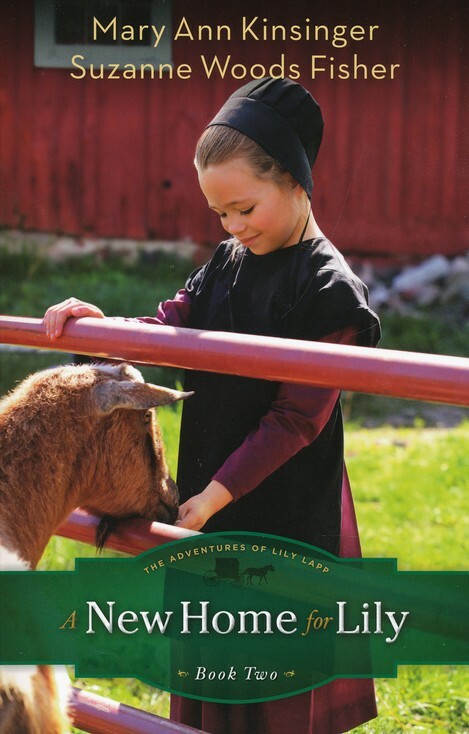 I like that the model (the little girl in Amish clothes) is not looking at the reader in either cover. This helps to emphasize that this is a book about everyday life. She isn’t posing for a special event. She’s simply taking care of her goat. And there is a great goat story in at least one of the chapters – so the photo is very appropriate in that way too! The second novel in the charming Adventures of Lily Lapp series, A New Home for Lily gives children ages 8-12 a fascinating glimpse into the life of the Amish with lots of fun and laughter along the way. It combines the real-life stories of growing up Amish from Mary Ann Kinsinger and the bestselling writing of Amish fiction and nonfiction author Suzanne Woods Fisher. With line illustrations throughout, this series is sure to capture the hearts of readers young and old. Lily Lapp is moving with her family to Pennsylvania to join a new Amish community. In this small town where changes – and newcomers – are greeted with suspicion, Lily must adjust to a new school, new friends and Aaron Yoder, an annoying boy who teases her relentlessly. Still, there are exciting new developments, including an attic full of adventure and a new baby brother. But why, Lily wonders, can’t God bring her just one sister? Suzanne Woods Fisher is the bestselling author of The Choice, The Waiting, The Search, The Keeper and The Haven, as well as nonfiction books about the Amish, including Amish Peace. Her interest in the Anabaptist cultures can be directly traced to her grandfather, who was raised in the Old Order German Baptist Brethren Church in Franklin County, Pennsylvania. Suzanne is a Christy Award finalist and a Carol Award finalist. She is the host of internet radio show Amish Wisdom and a columnist for Christian Post and Cooking & Such magazines. She lives in California. For more information, please visit http://www.suzannewoodsfisher.com and connect with her on Twitter @suzannewfisher. Cassandra Bainbridge is a heroine afraid of her own passions. Well, her emotional passions for a certain handsome fiancé anyway. A terrible injury leaves her feeling less than desirable and fearful that God is punishing her. Having not read book one , the leap to her feeling judged by God for a moment of passion seemed a little fast … and the mention that she had put her wedded bliss on hold once before (even though she really did love her fiancé) made her seem ‘flighty’ in more ways than one! However, the fascination with independent balloon flight was very interesting. I enjoyed her exploits, and that the author made her a very curios and capable young woman, despite her injury. The trial and error of the early balloonist was something I had never read about before. Spoiler alert: Her fiance’s believable fear of heights helped to explain how this fascination was drawing them apart. The fact that it eventually saves his life and draws them together, was a very nice touch! The writing was done well, and drew me in. I feel I enjoyed it as a stand alone once I’d read only a couple of chapters. I might have enjoyed it sooner if I’d read book one. Women readers will especially enjoy this independent and curios heroine. 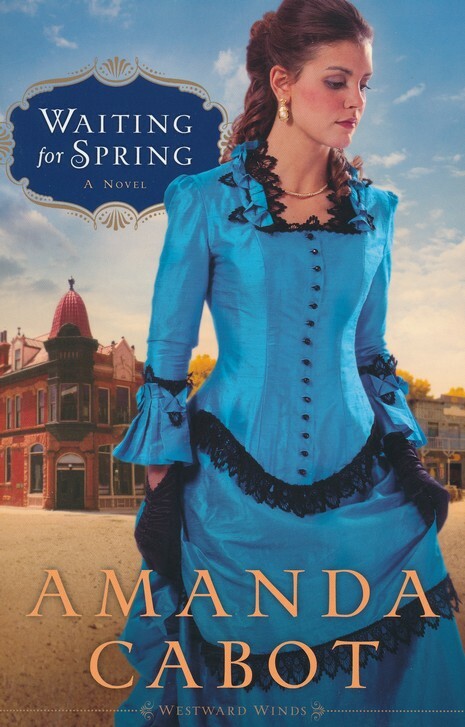 By the cover alone I was able to determine not only that it was a historical, but that it was a Regency, that it was likely about a heroine of wealth, and that hot-air balloons were somehow involved. Since all three are a big part of the story I think this will be a successful cover – drawing exactly the readers that will enjoy it. I also love the font used for the title. Very elegant and befitting for this English lady of privilege. 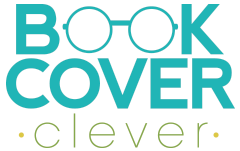 The area surrounding the author’s name is my least favorite part of the design, but that is being picky. I think it’s the mint green color that bothers me about it. It just seems to clash with the richer greens in the photo background. If the designer had color picked another color directly from the photo, either dark or light, I think it would have felt slightly more harmonious as a whole. I would have used this same color on the back cover as well. But as I said, overall I really like this cover, and that is being extremely picky. The artist has done a great job overall! *Available October 2012 at your favorite bookseller from Revell, a division of Baker Publishing Group. Cassandra Bainbridge has twice set aside her scholarly pursuits–once for the London Season and once for her wedding preparations. Love seems a wonderful alternative to study, until disaster strikes. When an accident brings an end to her betrothal, she heads for the country to recover from both her injuries and her broken heart. There she pursues her love for ballooning and envisions a future for herself as a daring aeronaut. But when her former fiancé slips back into her life, what course will she choose? Laurie Alice Eakes is the author of Lady in the Mist, A Necessary Deception, Heart’s Safe Passage, and several other novels. 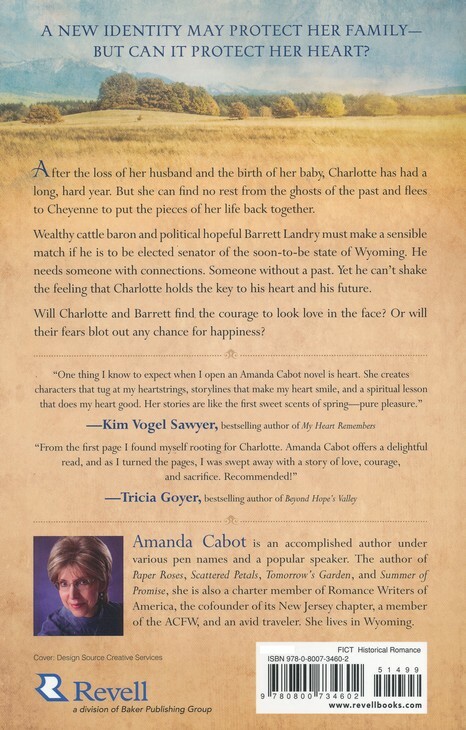 She won a National Readers Choice Award for Best Regency in 2007 for Family Guardian. Laurie Alice writes full-time from her home in Texas, where she lives with her husband and sundry dogs and cats. Life with Lily by Mary Ann Kinsinger and Suzanne Woods Fisher is an endearing story, centering on the daily life of a little Amish girl named Lily Lapp and her family. The book is written for young children, – those just beyond picture-book age. I read the first few chapters aloud to my 6-year-old and 4-year-old daughters. My oldest was the most interested, as she is old enough to listen for longer spans of time and can picture the story in her mind. My youngest was more interested in seeing the photo at the beginning of each chapter, and I’m not sure how much she paid attention during the reading of the chapter. to be a little girl growing up Amish (much like it was to grow up a long time ago, but not quite). The book is composed of 39 chapters, and each chapter can be read as an individual story. Each chapter builds upon the other into an over-arching story, but has a satisfying short storyline of its own. The stories involve Amish life, animal care, friendships, siblings, school, gardening and much more. They are told in such a way that the child learns about the Amish life, yet there are many things about the story that the child can still relate to. A great read for ages 6 and up, particularly for girls. The model chosen to represent Lily Lapp for the cover is adorable. Her smile is welcoming, and the red barn in the background will help to attract children interested in ‘farm’ or ‘animal’ stories. A beautiful sunny day, and the attractive child in what my young children saw as an odd dress-up outfit from a long time ago will intrigue them to hear or read the story for themselves. The only negative I have about this cover is very knit-picky. The shadows used behind the title and some larger text areas is a little too difused. I wish it was a little sharper of a shadow to add depth, rather than to make the edges just seem fuzzy and undefined. But that is really looking close at it, and from afar it is not very noticeable. The cover will attract the kids and their parents or grandparents just fine the way it is. * This book was received from the publisher for review. Available October 2012 at your favorite bookseller from Revell, a division of Baker Publishing Group.